After his postings to Malta and North Africa F/L Cranswick DFC with already 61 missions to his credit was posted to No. 1659 Conversion Unit for training on the Halifax bomber. 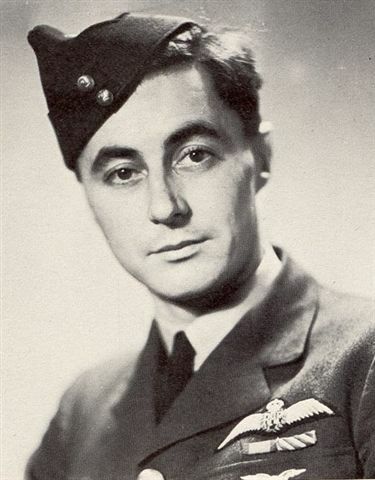 On completion of his three weeks at 1659 he and his crew were then sent to 419 Squadron. His stay with the Moose Squadron was very brief, only one operation can be found for his time at 419. The Summary for February of 1943 shows he and his crew be accepted to No. 35 Squadron for Pathfinder Operations. His actions with the PPF won him the DSO. Here he flew 30 more operations until being assigned non-operational duties for six months. By April of 1944 he and his original rear gunner Ivor Howard from 419 days rejoined 35 Squadron. On the night of July4th 1944 while over Villenuve-St.George on his 107th operation his aircraft has hit by night fighters and crashed killing all but one of the crew. Ivor Howard had fallen ill and was not with Cranswick this operation.